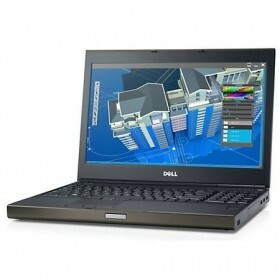 Download DELL Precision M4800 Notebook Windows 7, Windows 8.1, Windows 10 Drivers, Utilities, Software and Update. This package provides the driver for the Realtek ALC3226 High-Definition audio codec and is supported on Latitude Exx40 & Precision M4800/M6800 running the following Windows operating systems: Windows 7 and Windows 8 . This package provides the driver for ST Microelectronics free fall data protection and is supported on Latitude and Precision models running the following Windows operating systems: Windows 7 and Windows 8. .
Intel Chipset Device Software support Optiplex, Precision, Latitude and Enterprise Servers series running the following Windows Operating Systems: Win 7, Win 8 and Windows Server 2012. . This package provides the driver for the Intel 8 Series/C220 series Chipset Family and is supported on Optiplex, Precision, Latitude systems running Windows 7. . This package provides O2Micro OZ777xxx/OZ621XX Memory Card Reader Driver and is supported Precision and Latitude series running the following Windows Operating Systems: Win 7 and Win 8. . This package provides the driver for Intel HD, HD 4200/4400/4600/5000/5100/5200 Graphics and supports Latitude E6440, Precision M4800/6800 that run Windows 7 (32 bit) and Windows 8 (32 bit) . NVIDIA Win7/Win8 Drivers (32-bit) for Quadro K5000M, Quadro K4000M, Quadro K3000M, Quadro K2000M, Quadro K1000M.